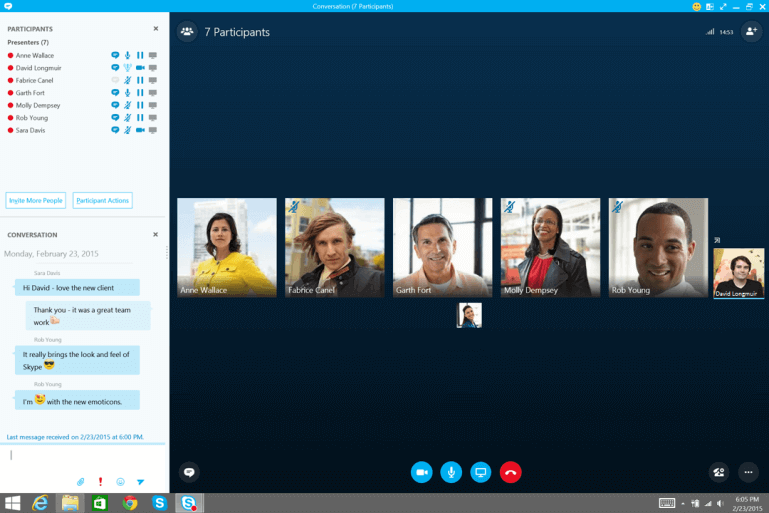 Skype® for Business from Intermedia is now available! 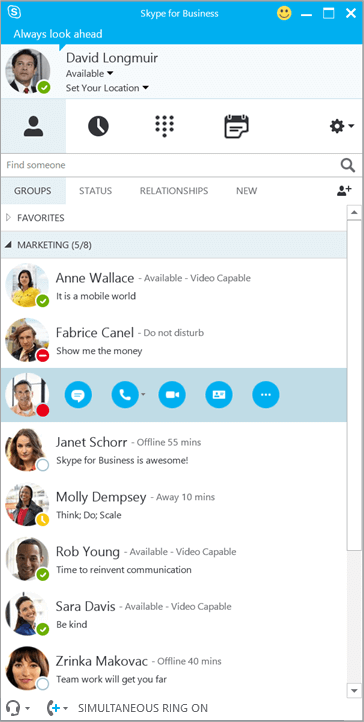 The next generation platform of Microsoft Lync®, Skype for Business bundles messaging, audio and video, online meetings and sharing all in one familiar enterprise-grade messaging tool. 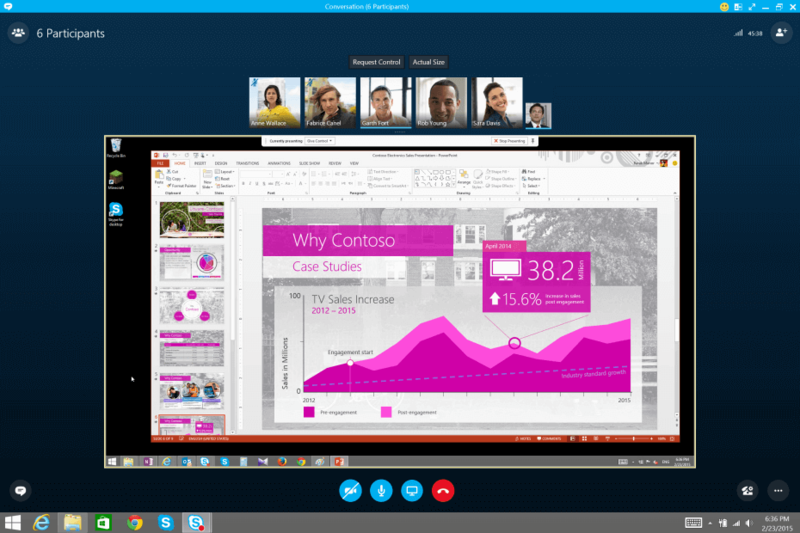 With the simplicity and usability of Skype and the security and reliability of Lync, users get a familiar Skype experience that’s as easy to use at work as it is at home. Instant Messaging. Text-based chat lets you communicate in real time with colleagues, customers and partners from virtually anywhere on all your favorite devices including phones, tablets, laptops and a few others. Active Directory Integration. View “free,” “busy” or “away” status of your contacts from within Skype for Business or Outlook® by connecting to your company’s active directory. Screen Sharing. Share desktops, files or applications during chats and meetings so everyone on the team stays on the same page. Voice and Video Chat. Reduce travel costs by holding voice- and video-enabled meetings. Integration with Outlook. 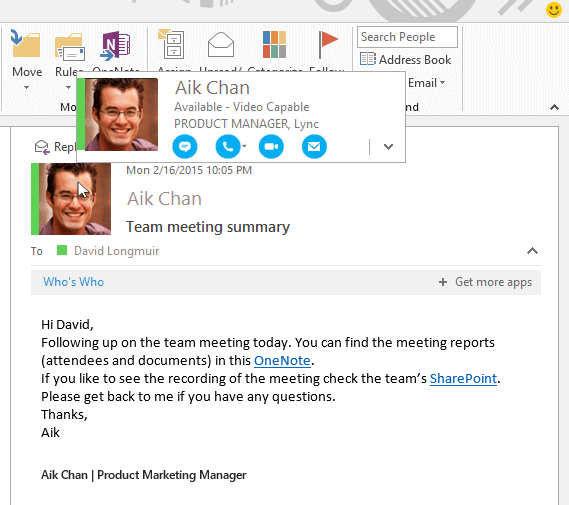 Schedule meetings, view contact cards, and start meetings directly from within Outlook and Outlook Web App. 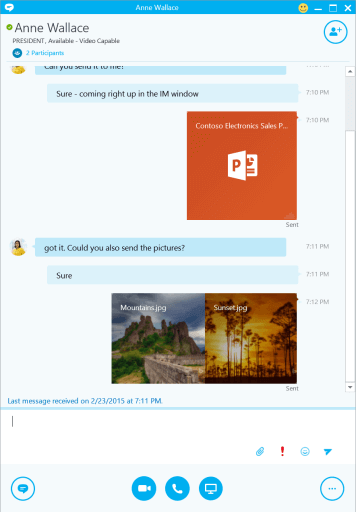 Conversations will be automatically saved in Outlook for future reference. Online meetings. Easily schedule meetings directly from Outlook with a single click and join meetings from anywhere on virtually any device. Intermedia customers on Microsoft Lync can upgrade to the new Skype for Business client by installing the latest Lync upgrades. 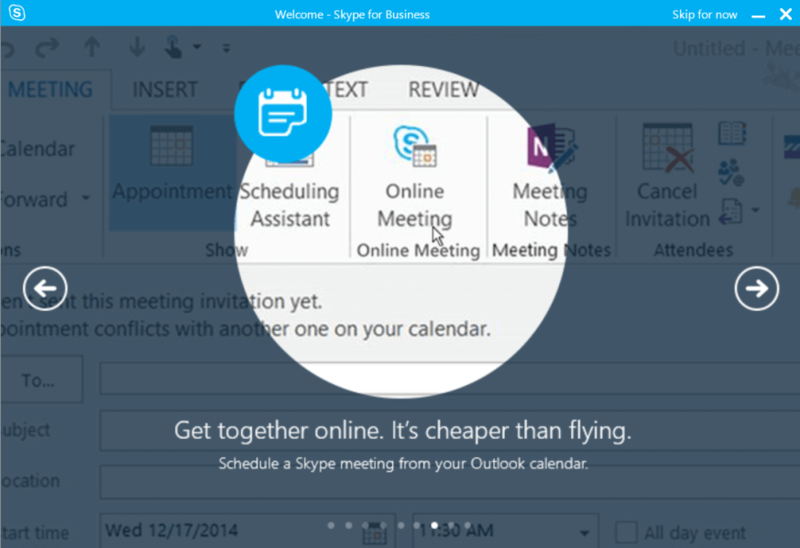 If you don’t yet have Skype for Business or have any questions, you can contact us at 800-379-7729. Our helpful representatives will answer the phone quickly and provide you with the assistance you need. Get started today!